If you love a person who is wish-washy, unreliable and commitment-phobic (WWUCP), I feel your pain. Many people feel your pain. The unreliable person is a far to common complaint. We give a pass to serial no-shows, last minute change of plans, and an inability to make a commitment. Because of the passive-aggressive nature of the WWCUP actions, we are made to feel unjustified in expressing our unhappiness with the constant disappointment. We should recognize that trying to cultivate a meaningful relationship with unreliable people has a negative impact our mental health. It is not good for us. 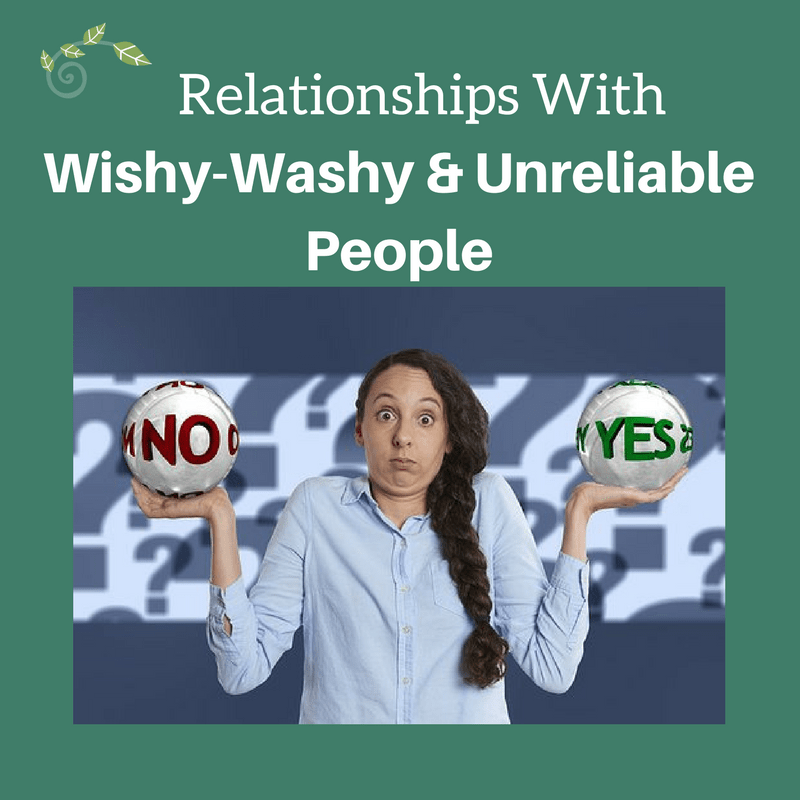 It is time to respond to the Wishy-Washy, Unreliable and Commitment-Phobic People (WWUCP) in your life. Stop Feeling Guilty About Setting A Boundary. If a friend or family member was stealing from you, you would set a boundary and put a stop to it. If you do not, you are enabling their behavior. Unreliability and an inability to make a commitment is a passive-aggressive form of theft. It steals your time which is a precious commodity. Time manipulation is often tolerated because of the passive-aggressive nature. We don’t see it as a form of disrespect and theft, but it is. We all have busy lives. Your time is not more valuable than mine. Unreliable people cancel with weak excuses. Don’t accept them. Weak excuses include canceling plans at the last minute because “Something else came along” or “I changed my mind at the last minute” is more than inconsiderate, it is disrespectful. Social isolation and loneliness are one of the effects of having unreliable people as friends. WCCUPS friends and family members are great at minimizing their behaviors. “What is the big deal?” “You could have still gone without me.” “Why are you getting so upset?” are familiar justifications. Minimizing their inconsiderate behavior while attempting to shine a light of hard-to-please, demanding, and needy behavior on you. Often used in business, an opportunity cost is defined as – A benefit, profit, or value of something that must be given up to acquire or achieve something else. Since every resource (land, money, time, etc.) can be put to alternative uses, every action, choice, or decision has an associated opportunity cost. Your time is valuable, and when it is manipulated, unreliable people make you pay an opportunity cost. Loneliness and social isolation has been linked to depression, low-self esteem and shame. If you are experiencing lack of social contact because of WCCUPS’s manipulation of your time, you should understand these mental health implications. It is time for you to set a boundary. You should feel confident and assured when setting a boundary. You are not being mean or inconsiderate by expressing your feelings and insisting on respect. The longer you tolerate the WCUUPS behavior the more resentful you will become. Inevitably this leads to you expressing how you feel when you are angry. Don’t wait. If you do not know what to say, use this basic boundary setting format. It allows you to express how you feel while minimizing the risk of creating defensiveness. I feel manipulated when you cancel our plans at the last minute. I feel sad that I missed the opportunity to go out and have fun on my only day off. Start with a lower level of firmness and increase as necessary. A lower level of firmness might include explaining your feelings of disappointment. Lifting the firmness level up a little would include an more assertive body language such as raising your voice slightly, changing the tone. Be mindful that when you set a boundary you never use an apologetic tone. Use a tone of voice which is confident and assured but kind. Give the WCUUP the benefit of the doubt that they do not understand the impact of their behaviors. Ask for what you want and need in terms of commitment and reliability. For example, canceling plans at the last minute without a good reason is frustrating. After determining your needs and asking for what wait to see how they respond. If your needs and desires continue to be ignored you have some tough decisions to make. This may include limiting contact and declining future invitations. The relationship may only be able to continue in a superficial manner. You may need to face the fact that it is time to find new friends. Visions of the perfect story-book holiday is a particularly difficult idea for many people. 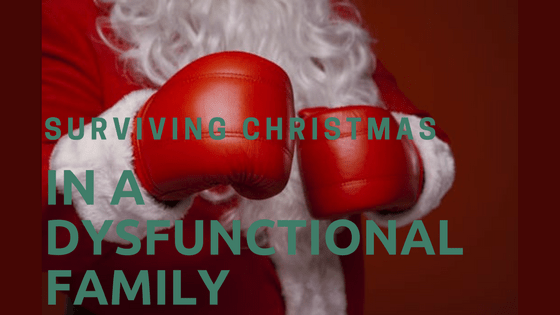 Surviving Christmas in dysfunctional families requires us to pull out all the tools we have learned in therapy so that we are not triggered by mal-adaptive thinking and emotional patterns. 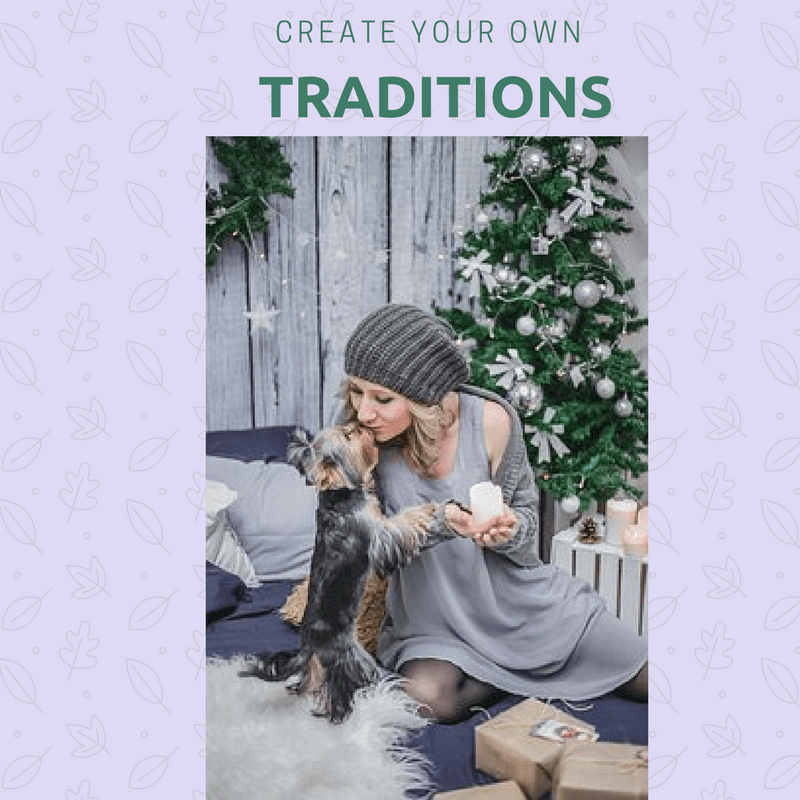 Create Your Own Traditions – Surviving Christmas in dysfunctional families requires an authentic expression of new traditions. We do not have to engage in traditional rituals that do not work for us. If traditional family dinners or family visits create arguing and fighting, you might consider not participati ng. Emotions run high during Christmas and maladaptive patterns run rampant. If Christmas creates the perfect storm for family members to act at their worst, give yourself permission to not participate. Be Aware of Your Expectations – For years I tried to create an ideal Christmas despite a great deal of dysfunction in my family. Of course, after the “big event” was over, I felt exhausted, anxious and sad. I had to accept that my expectations were irrational. An idyllic Christmas was not in my future. Once I accepted this reality, the holidays became much easier. 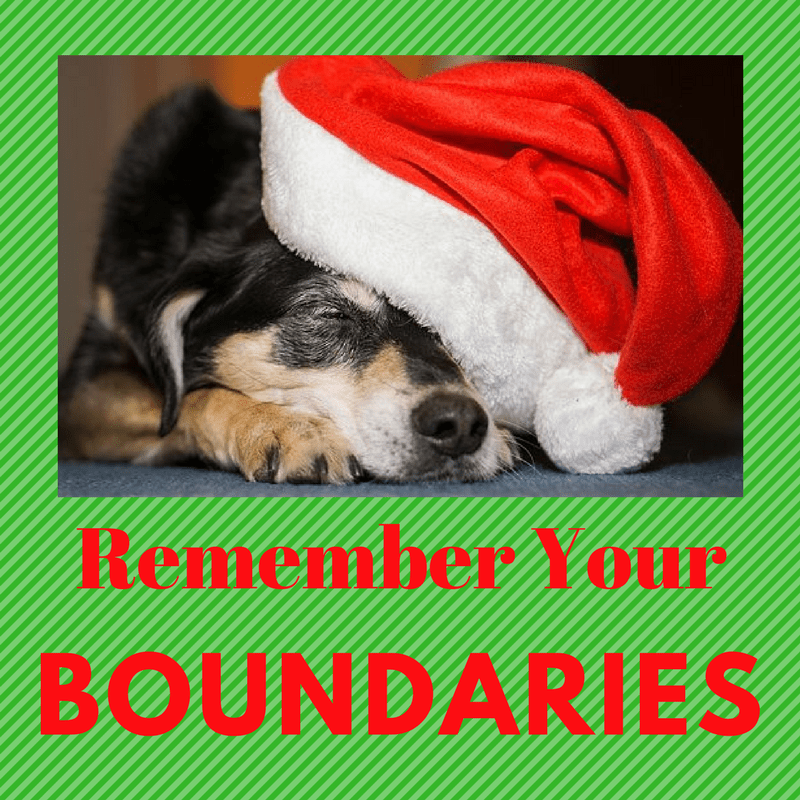 Set Boundaries – Surviving Christmas in dysfunctional families involves understanding your personal limits when you are exposed to mal-adaptive or abusive behaviors by family members. Perhaps that line in the sand is when too much al cohol is consumed, or passive aggressive actions are directed your way. Know what your limits are, and plan your escape strategy. Perhaps setting boundaries is limiting the time you spend with dysfunctional family members, or declining to participate in gift exchanges. Know your limits and protect your sanity. Lean into Your Coping and Self-Care Strategies – If you come from a dysfunctional family, hopefully you have developed coping skills and self-care strategies to get you through the holidays. Lean into them or develop new ones. Be creative and give yourself permission to do what you need to do. Practice self-compassion. If you have established a new traditions or coping strategies that has helped you survive Christmas in your dysfunctional family, please share your wisdom. It may help those of us who are still trying to master the art of Surviving Christmas in a dysfunctional family.